MACOMB, IL -- Due to the extreme summer temperatures and high humidity affecting the region, two of Western Illinois University's residence halls and the University Union are designated as cooling centers for area residents. Corbin and Olson commons will be open from 8 a.m.-8 p.m. today (July 10) through 8 p.m. Friday, July 13 for anyone in need of a place to cool off. Drinking water refilling stations are located on the first floors of Corbin and Olson halls. The University Union is open from 7 a.m.-8 p.m. Monday-Saturday. The Union is closed Sunday. A drinking water refilling station is located near the University Union Bookstore entrance and on the first floor near the Office of Student Activities. Burger King is open in the University Union 7 a.m.-7 p.m. Monday-Friday and 8 a.m.-7 p.m. Saturday (closed Sunday). Sodexo will also have food available for purchase in the Corbin-Olson Dining Center (hours subject to change). 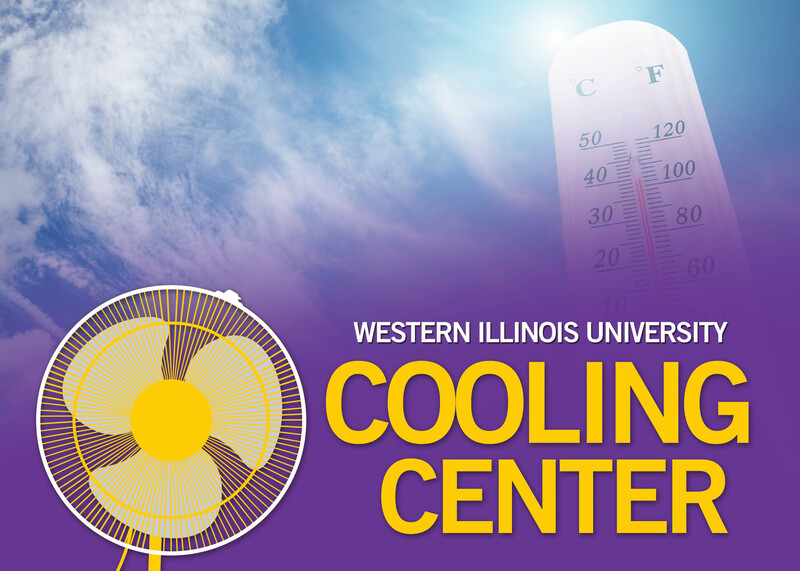 For July 8-14 dining hours (breakfast, lunch and dinner), visit wiu.edu/student_services/dining/index.php.